About 18% of people according to the BACD report that people hide their teeth in photos due to grey or yellow teeth. A bright and white smile is now seen to be one of the fundamental aspects of beauty. There are many ways to achieve a whiter smile. Obviously prevention is always better than cure so if possible try to avoid drinking red wine, black tea or coffee in excess. Getting your teeth cleaned professionally at the dentist is also essential in keeping your teeth shining throughout the year. However, if you want you to whiten your smile it is possible to get your teeth whitened. This is a non-invasive procedure, which leaves you with a natural yet bright smile. 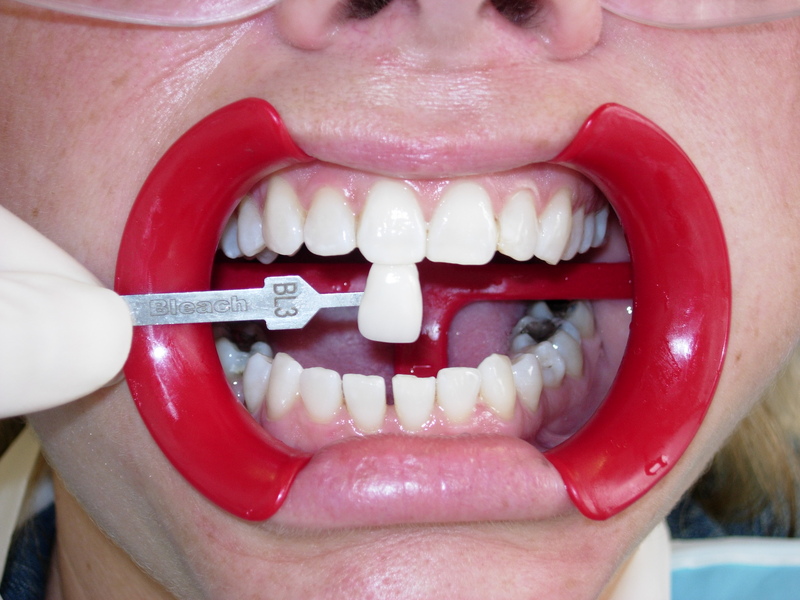 The dentist will make a mould of your teeth and then provide you with the whitening material. It is essential that you get this material from the dentist, as too high a concentration will damage your teeth. It is illegal to get bleaching materials from anywhere else except a licensed dentist including beauty salons. You then need to sleep with the mould for 2 weeks or until you have the desired result. Another option to get your teeth whitened is to have in surgery whitening. This requires you to first undertake home whitening and then have a dental appointment where the dentist will apply a higher concentration of the whitening gel. The appointment will take an hour and guarantees to leave you with brighter and whiter teeth. The product that the dentist will use is called “Enlighten” and was voted the best tooth-whitening product in 2012. At 20/20 Dental Practice we will discussthe best teeth whitening in Newbury with you. 7 Reasons to choose us as your Newbury dentist? 1. You are unhappy or concerned about your smile. 2. You want a Newbury dentist that will listen to your concerns about your smile. 3. You want a Newbury dental practice that focuses on prevention. 4. You want time to discuss your treatment options without being rushed. 5. You want a Newbury dentist that uses the highest quality dental material and the latest techniques. 6. Guaranteed No-Lecture Zone- We promise no one will lecture you or pre-judge you.